13. 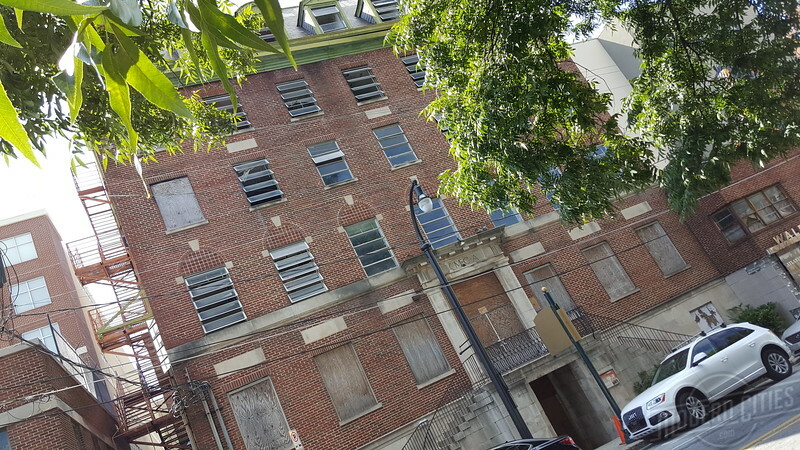 The Big Bethel African Methodist Episcopal Church building was completed in 1924. 14. 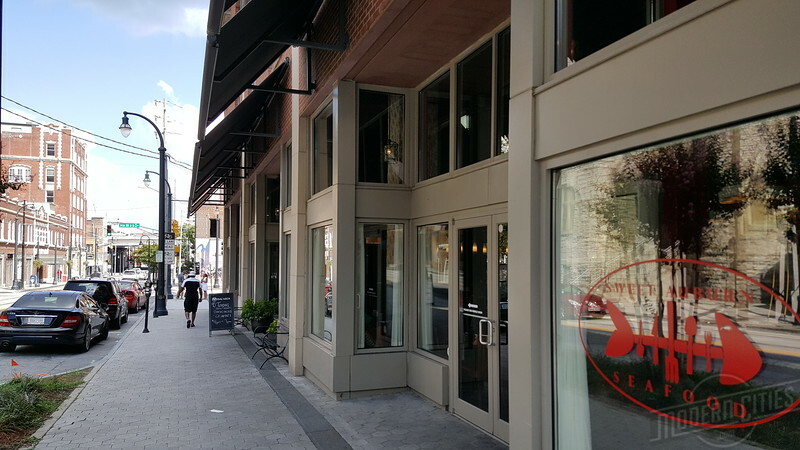 A new business paying homage to the neighborhood’s storied past, Sweet Auburn Seafood Restaurant is a popular eatery serving Southern-style seafood dishes along with cocktails and live music. 15. The Old Fellows Building and Auditorium was built in 1912 and 1913 as the headquarters of the District Grand Lodge No. 18, Jurisdiction of Georgia, of the Grand United Order of Odd Fellows in America. 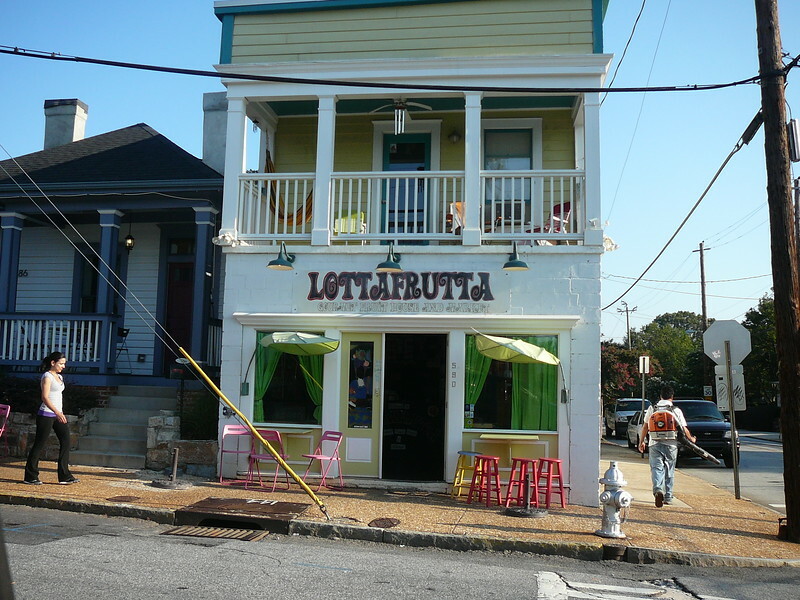 During the neighborhood’s heyday, this complex housed several black-owned businesses and black professionals. 16. 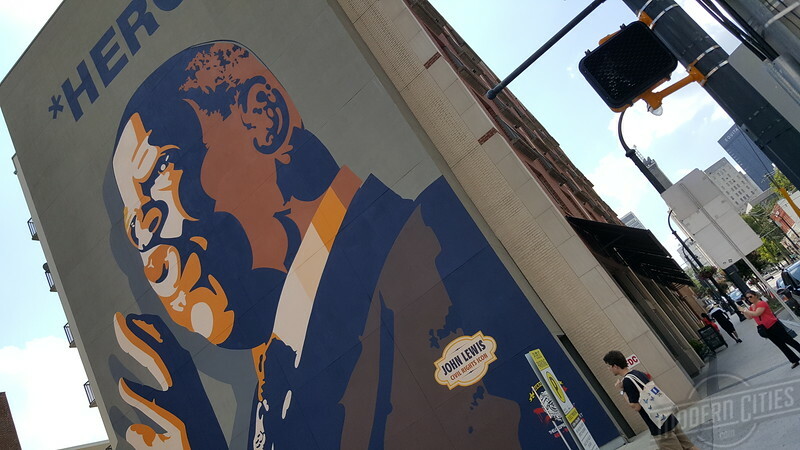 This mural honors John Lewis, a founding leader of the Student Nonviolent Coordinating Committee (SNCC). 17. 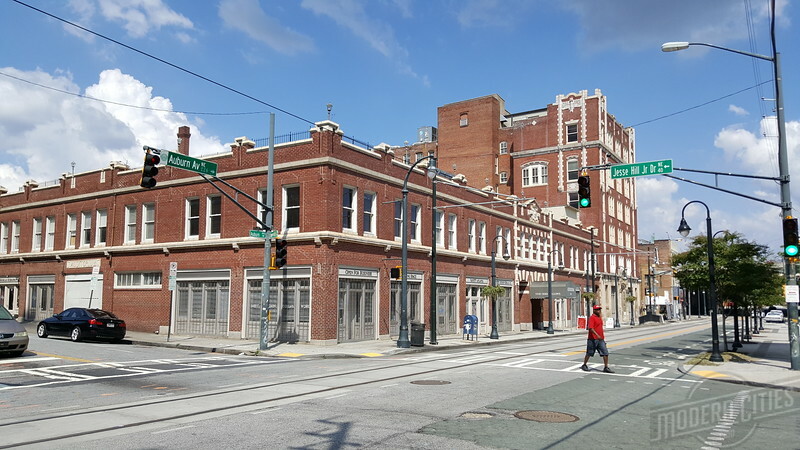 Designed by Hentz, Reid and Adler, the Butler Street YMCA building was built in 1920 by Atlanta’s leading black building contractor, Alexander Hamilton, Jr.
18. 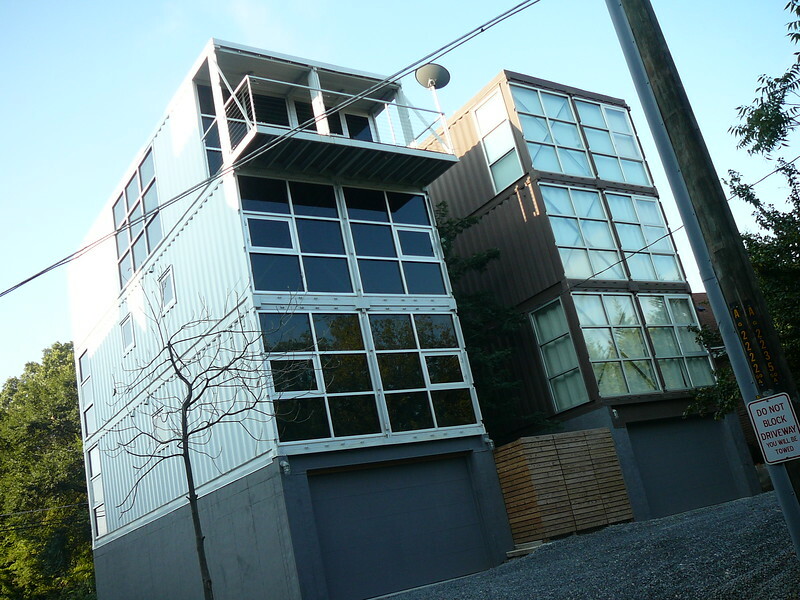 Infill container housing two blocks south of Edgewood Avenue at the intersection of Gartrell and Fitzgerald Streets. 19. Looking north along Howell Street, just north of Auburn Avenue NE. 20. The Martin Luther King, Jr. 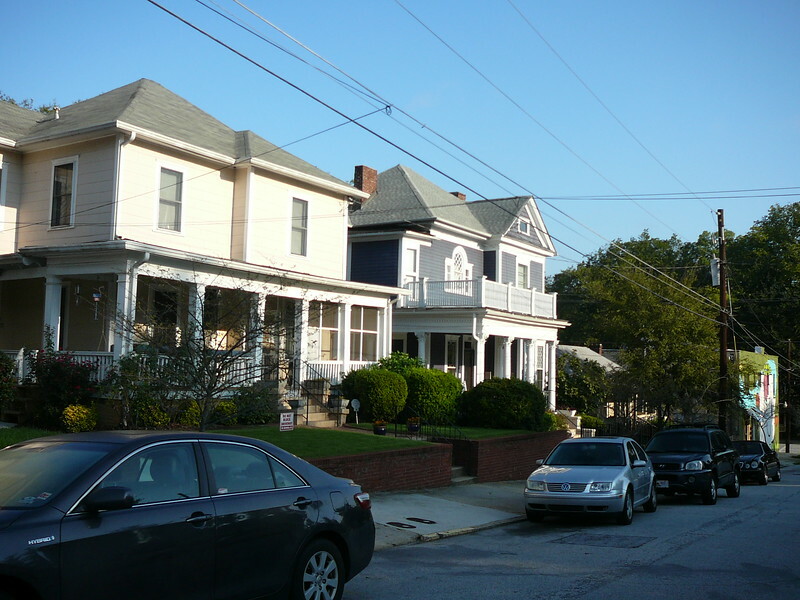 Birth Home Block along Auburn Avenue NE. 21. 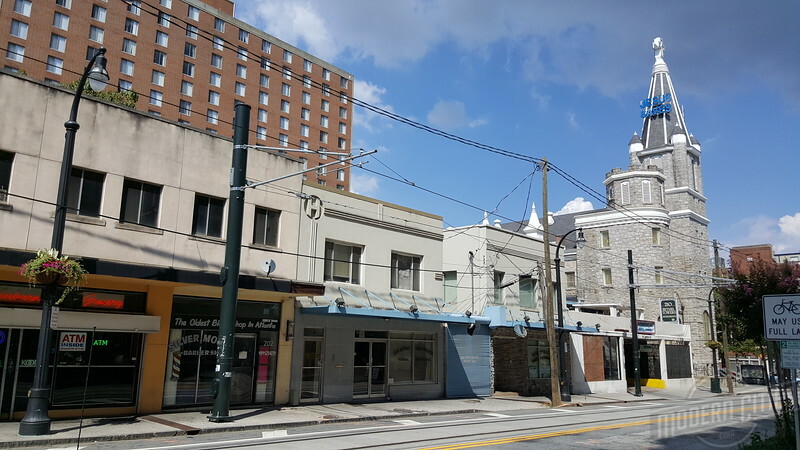 The intersection of Auburn Avenue and Randolph Street. 22. 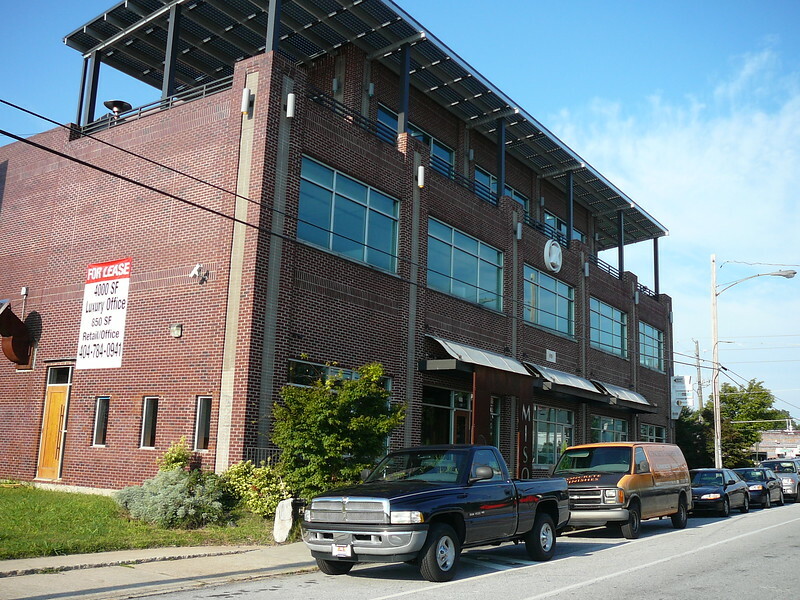 Infill along Edgewood Avenue. 23. 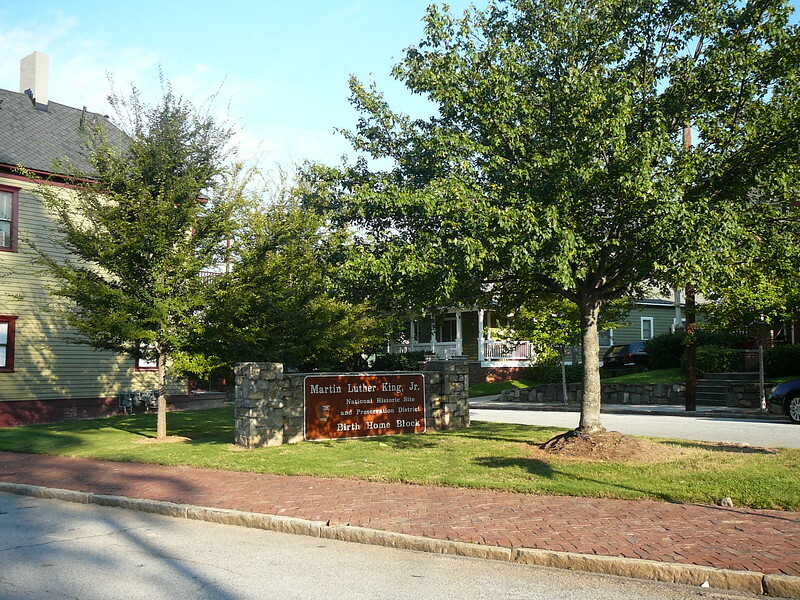 The intersection of Edgewood Avenue and Boulevard. 24. 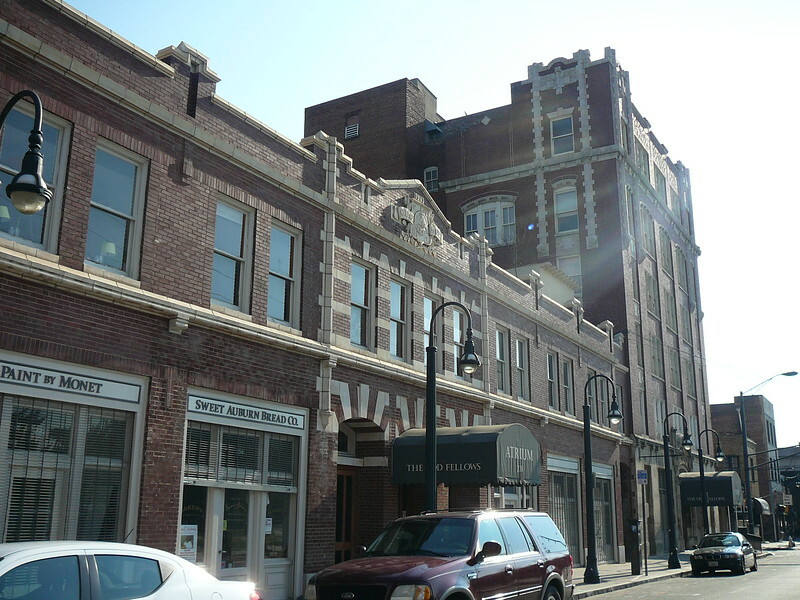 The Old Fellows Building and Auditorium was built in 1912 and 1913 as the headquarters of the District Grand Lodge No. 18, Jurisdiction of Georgia, of the Grand United Order of Odd Fellows in America. 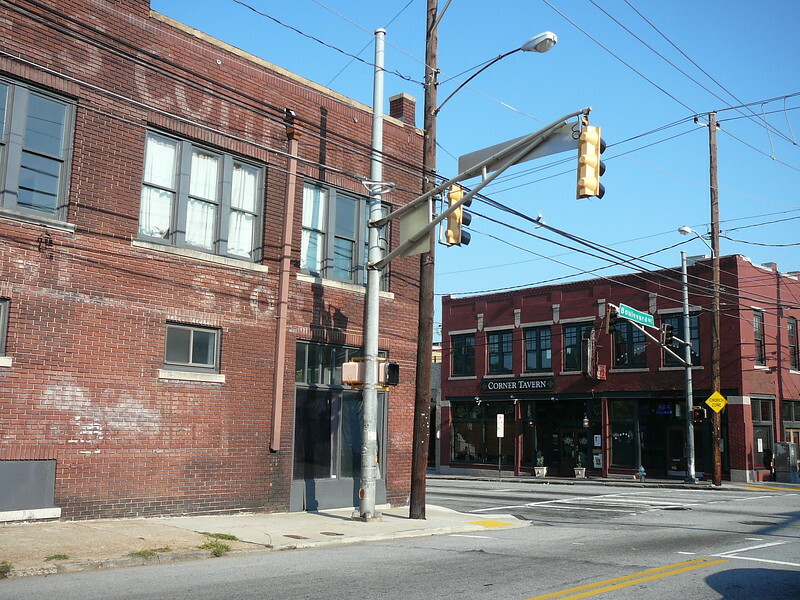 During the neighborhood’s heyday, this complex housed several black-owned businesses and black professionals.